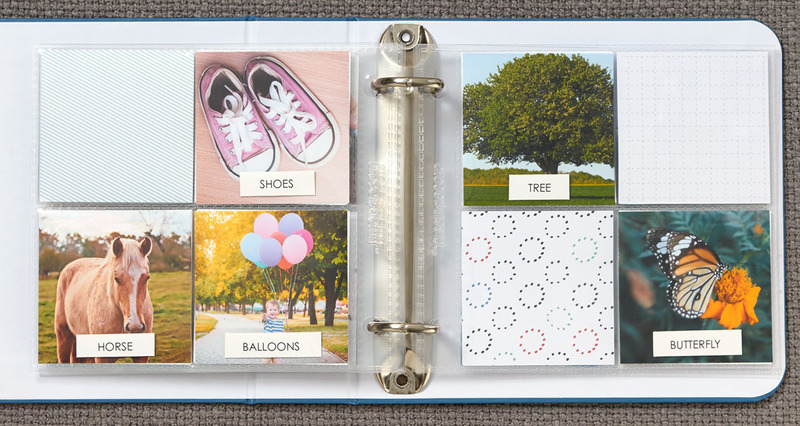 Earlier this week, we gave you hacks for embracing our mini Everyday Life™ albums: Just like traditional scrapbooking, you can customize them any way you’d like! 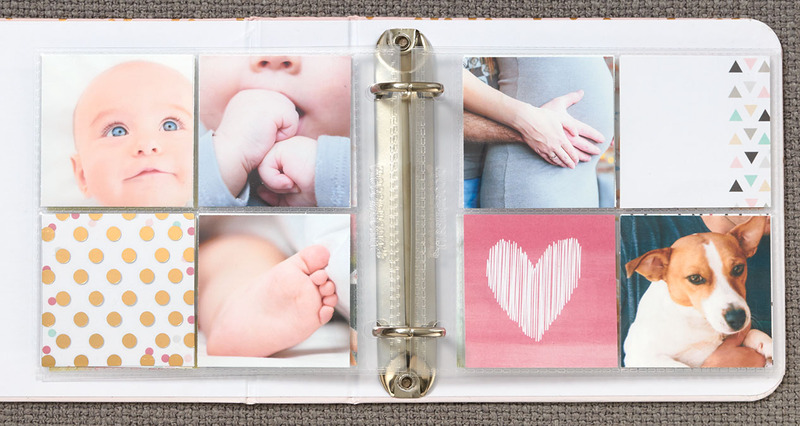 Today we’re really putting the “mini” in “mini albums” with our adorable, baby-sized Instalife™ albums. 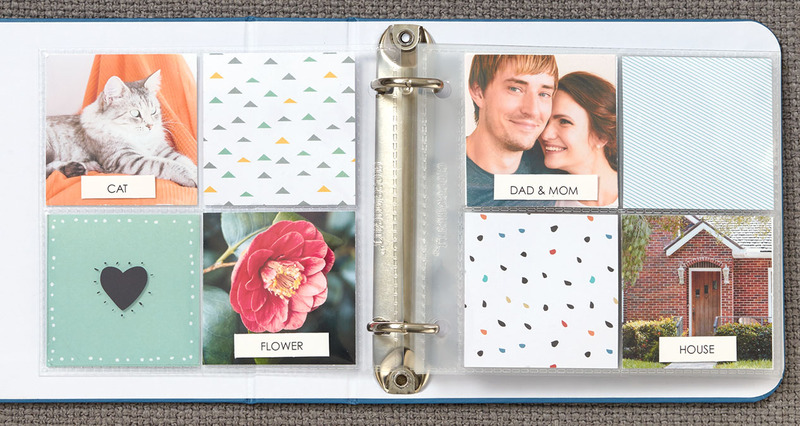 With bitty pockets for photos, matching pocket cards, and photo overlays with foil designs, these albums come together in a flash but have the same beautiful details as traditional scrapbooking. Again, we want to address some of the common concerns about scrappin’ on a smaller scale. 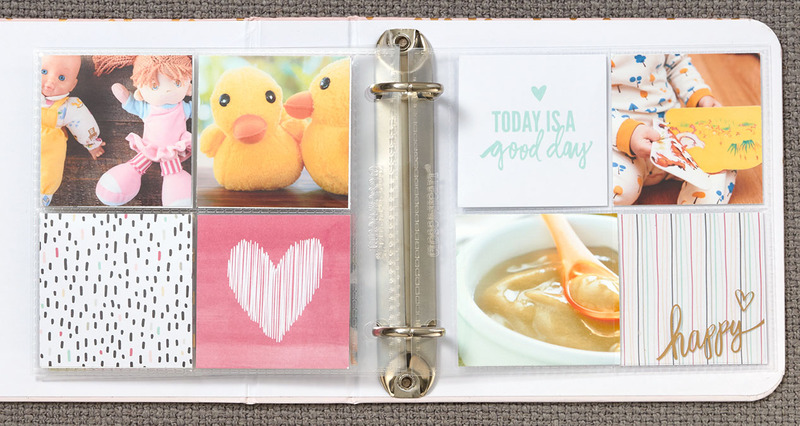 These mini albums are so much fun, and we know you’ll fall in love with them as soon as you try them out! Oh, and did we mention our Instalife™ mini album bundles are 30% this month? All the more reason to try something you’ve never tried before! Brag Books: Grandparents love to show off pictures of their grandkids to friends and new acquaintances—it’s just what they do! 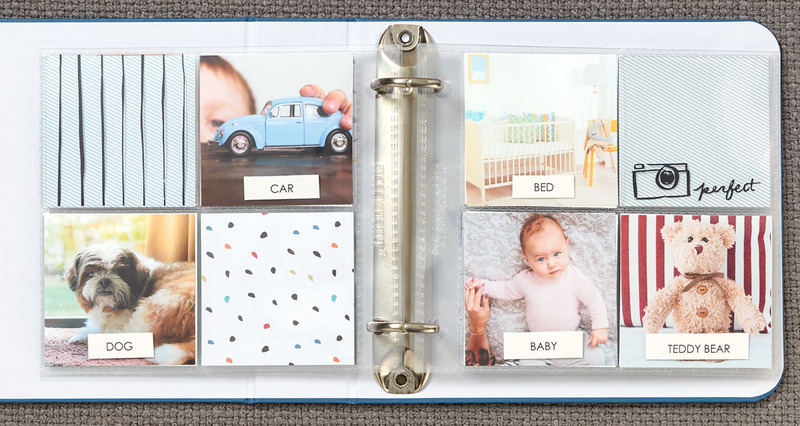 Give them one of these mini albums, which fit in purses and briefcases, and they can easily slide pictures of their grandkids into the cute mini-sized pockets—no cutting required! You could even get them one of each bundle so they can put all the granddaughters in the pink album and all the grandsons in the blue! 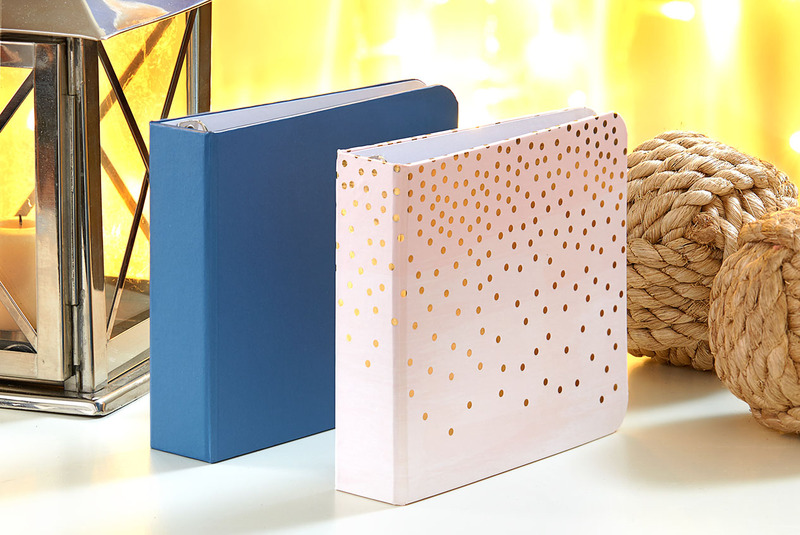 Senior Pictures Album: After your graduate gets their senior pictures taken and their invitations are sent out, put the leftover photos in one of these mini albums! Teacher Gift: Create a mini album for the teachers in your life. From karate and swim to school and violin, these teachers will love a personalized album with pictures of their students. Children’s Book: Make a simple children’s book! 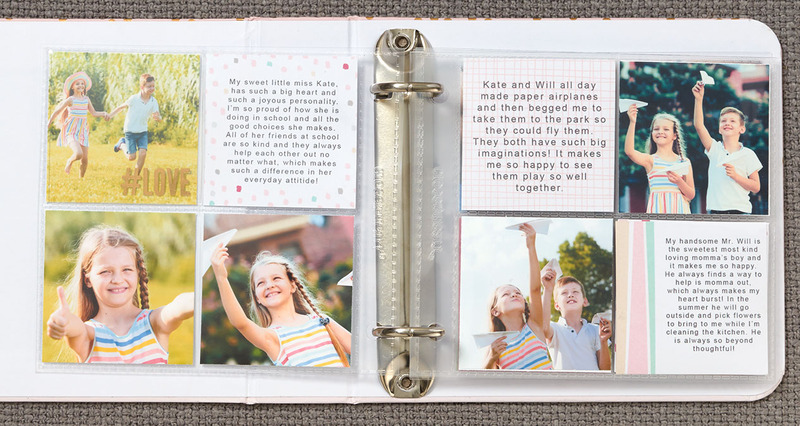 You can even preserve your children’s memories at the same time by adding photos of important things in their lives to their book: their favorite stuffed animal, the house they were born in, the family dog, etc. I don’t know how to get pictures this tiny! Persnickety Prints is here to help! What kind of photos work best for an album this small? If I put our family photos in there, we’ll look like ants! Think close-ups: Headshots work great, as well as close-ups of hands, toes, etc. How do I journal on these cards? I write a lot! 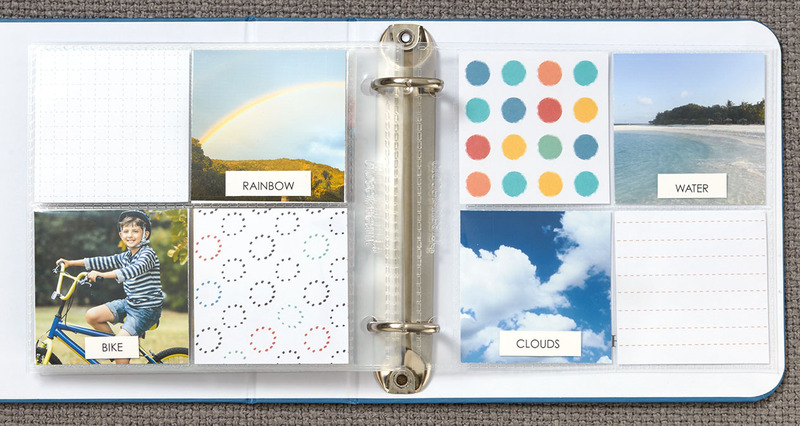 We know you want to write down important details about your photos, so we purposely design some of the cards to be for journaling. If you want to get really creative, you can try printing your journaling onto paper or vellum and attaching it to your cards, or even printing directly onto the cards, like we did here! One last tip for working with this collection: Be sure you remove the protective film from your overlays. They come with this film to protect them from getting scratches, but it’s meant to be peeled off before you use it. Use our piercing tool to get under the film and then peel it off—you’ll be amazed to see how clear the overlay is! One and done!